Both critics and fans quickly took hold of their youth-infused modern roots reggae sound. 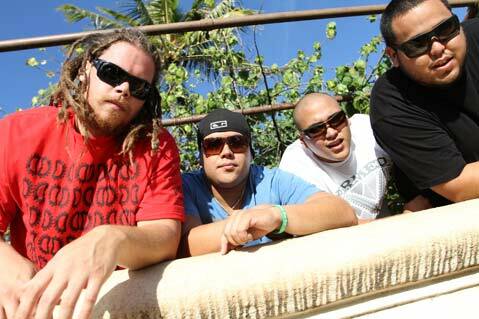 Their self-titled debut album was named “Best Reggae Album” of 2010 by iTunes and hit Billboard’s 2010 Year-End Reggae Chart by selling over 20,000 copies and counting. The band is following up with their sophomore album entitled Ways & Means, set to be released on October 25th on one of the leading reggae labels – Easy Star Records. The label is home to some of the most accomplished and progressive reggae artists, including the Easy Star All-Stars, John Brown’s Body, Cas Haley, The Black Seeds, Ticklah, Tommy T, The Meditations, and more. 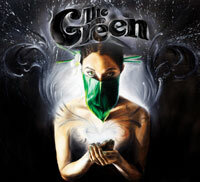 The Green consists of singer Caleb Keolanui, singer-guitarist JP Kennedy, singer-keyboardist Ikaika Antone, and singer-guitarist Zion Thompson. The four members of The Green take pride in the pop-burnished roots reggae style they’ve cooked up—edgy enough to make tastemakers sit up and take notice, yet accessible to all ages. Four distinct voices, four sharp songwriting talents, masterful musicianship, and monster grooves add up to one exceptional band with an unforgettable sound.